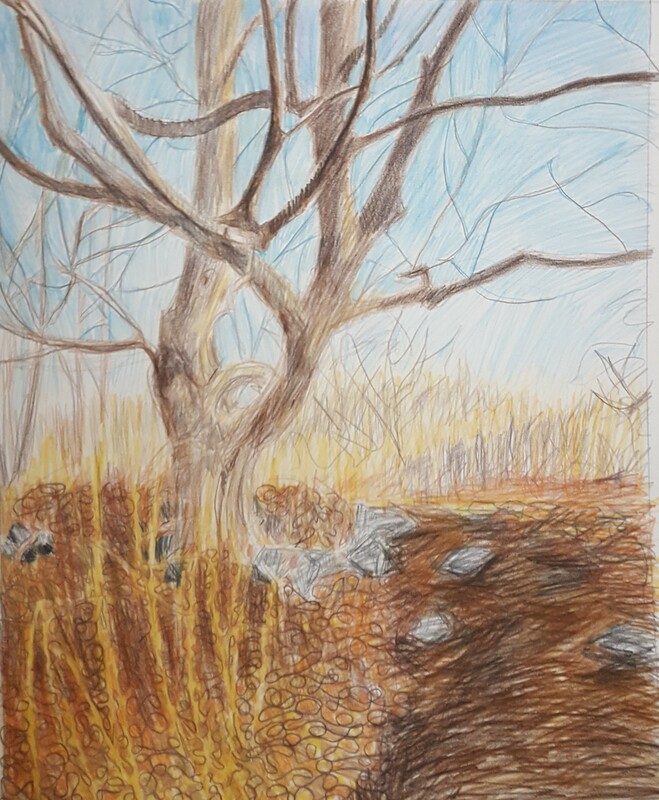 While I was searching through my artwork, deciding what to enter in the show…I came across a drawing I had done in the very late winter, in the March mud. At the time, I wasn’t sure if I could even draw anything that remotely looked like a landscape. I had put the drawing aside, thinking it wasn’t so good. As usual, drawings seem to get better with age. On second thought, I decided it had some merit…I really liked the tree! So, here is “Waiting for Spring”…just rescued from the circular file. It aged well. I’m pretty sure I know that tree. Seriously. Somehow, I think you might know that tree…seriously.